Earlier this week we found out about a supposed Galaxy S II variant rocking a slide-out QWERTY that was said to be on its way to AT&T. Needless to say, most people were not happy about the addition of a keyboard -- and with good reason. Why ruin one of the thinnest smartphones on the planet by adding a physical keyboard? 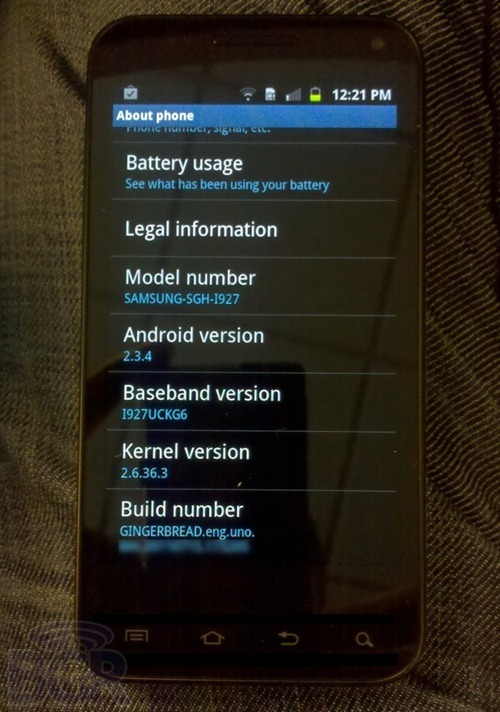 As it turns out, that wasn't a Galaxy S II variant at all, but a completely different handset that is headed to Ma Bell. BGR, the site credited with the initial leak, is now reporting that there was a bit of confusion due to the model number of the leaked handset - SGH-i927 - which was previously associated with the Galaxy S II line, but now appears have been recycled by Sammy for this new device. There is another curiosity associated with this handset as well: the kernel. You see, this device appears to be running kernel version 2.6.36.3, which, in all actuality, is a Honeycomb kernel. Curiosities aside, this is pretty good news for AT&T customers, as the GSII will retain its currently sleek physique, but those who were really looking forward to a physical QWERTY will get their just desserts, too. See, all that kerfuffle was for nothing.